“I was sobbing,” said Emma Hickerson, one of the first scientists to see the destruction below the surface of the Gulf of Mexico. “We went there and confirmed it,” Hickerson said. 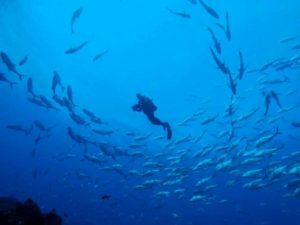 “It was a rather shocking mass mortality event.” She and another diver found dead and dying coral and sponges covered by a thick, white film on large but separate patches of the reef. Divers from the Fling “were stunned to find green, hazy water, huge patches of ugly white mats coating corals and sponges, and dead animals littering the bottom of the East Flower Garden Bank, a reef normally filled with color and marine life,” the report said. “At present, we are not aware of any specific risks to humans, but we are recommending this action as a precaution until more is known about the cause,” said Sanctuary Superintendent G.P. Schmahl. Oddly, there was no sign of damage at a site where Hickerson was working. That site has been used since the late 1980s by scientists to monitor the health of the reef. “Twelve miles away, the reefs of the West Flower Garden Bank remain vibrant, bathed in clear blue water and free of the problems for now,” Gittings wrote. Scientists are investigating possible causes, including poor water quality, disease and chemical spills, the report said. Each alone could kill organisms, but it’s more likely a combination, the report said. Gittings said fresh water plumes normally don’t extend as far as the reefs. If the plumes are responsible, there is hope this could be a one-time event, he said. But scientists also fear that climate change could make large rain events more common. “If it’s the new normal, then the reefs are in trouble because the reefs are not adapted to this type of thing,” Gittings said. 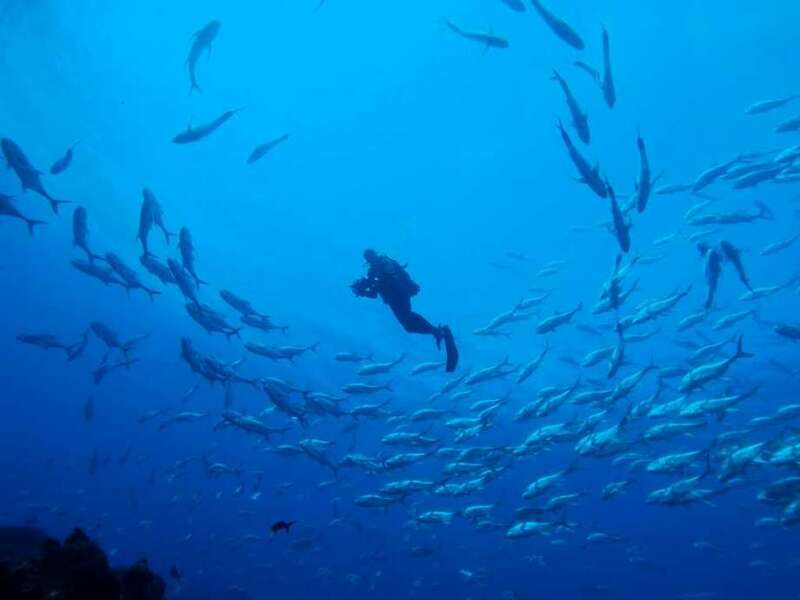 “Overall, however, the health and stability of the sanctuary’s invertebrate and fish populations have been in stark contrast to coral reefs around the world that have degraded over the last four decades,” the report said. The die-off has caused concern that the isolation of the banks may no longer shield it from “human impacts,” the report said. The problem now is to determine what is causing the die-off. “The sanctuary and the science community are desperately trying to figure that out,” the report said.